As you have probably read, my stance on “smuggling” vegies is that it’s OK as long as your child (& husband) know about them & it’s not deceptive (read more here). 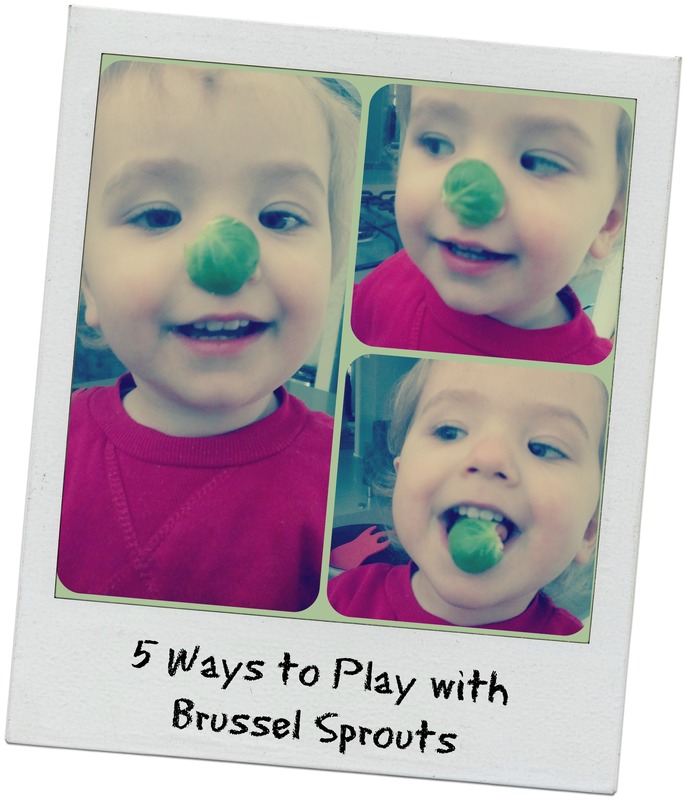 Here are five Play with Food ideas to help the fussy eaters in your family learn more about Brussels Sprouts before you prepare them. 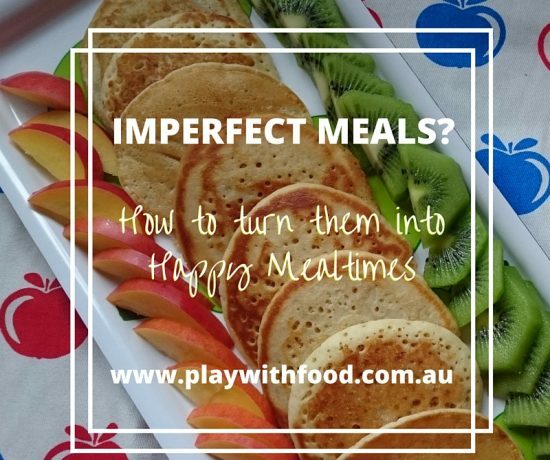 Here is a link to my post about why exposures to food (even outside of mealtimes) is important. Here is a video of one of my classes playing Brussels Sprout soccer! This side dish accompanied our family dinner of roast beef and broccoli. Wash and trim the dutch carrots (leave the skins on). 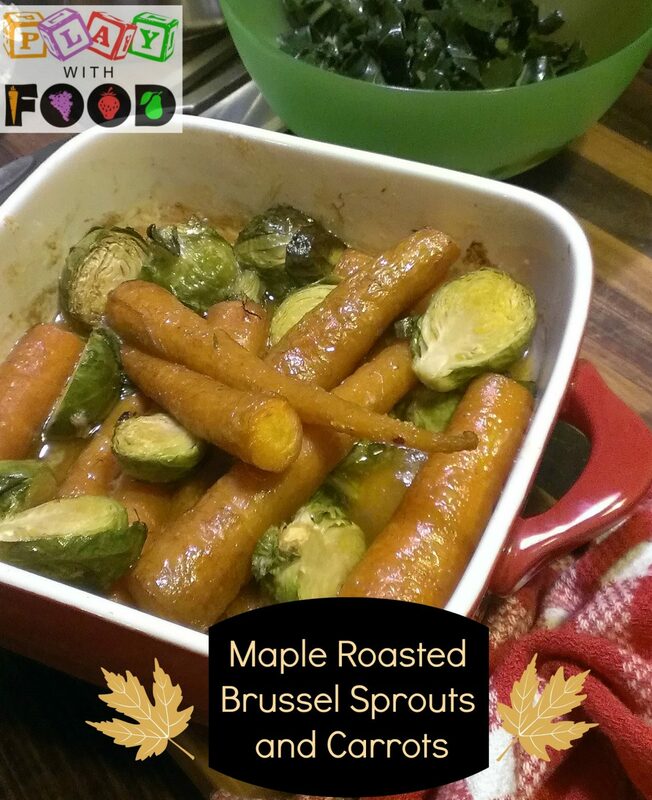 Lay out the vegies in an oven proof dish and top with about the butter chopped into small cubes, a generous pinch of sea salt and drizzle over the maple syrup. 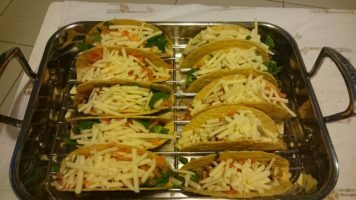 Bake in the oven for 40 mins. Give them a stir every now and then to ensure the vegies have had some contact with the delicious maple glaze. Wow! You make brussel sprouts look so appetising. I have an apathy of brussellsprouts, dating back to childhood. But I think I could totally stomach them in those yummy looking meatballs!